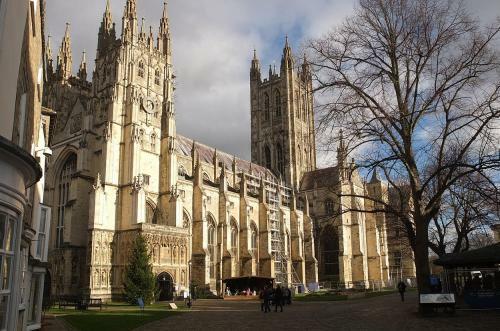 I may have mentioned in the past that I live in Canterbury in South East England, the seat of the Archbishop of The Anglican Communion. 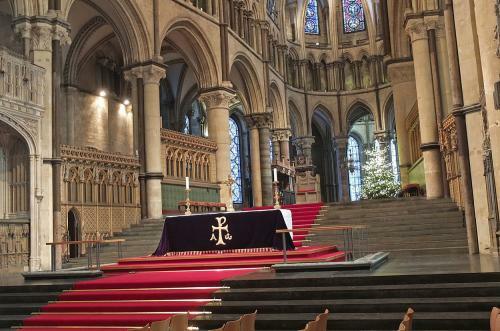 We have a beautiful Cathedral and, although I am in no way religious, I often visit the Cathedral to explore it and to wonder at the magnificence of this huge Gothic building. As it was a bright sunny morning today I parked right in the city centre for yet another visit. 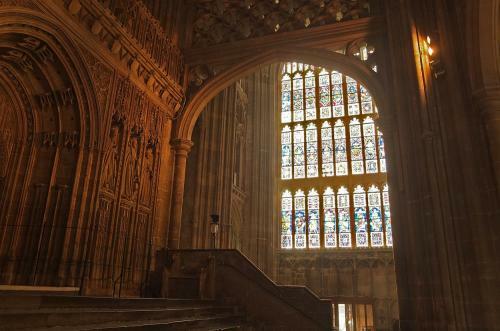 Over recent years the Great South Window, which was in need of restoration, was completely removed. 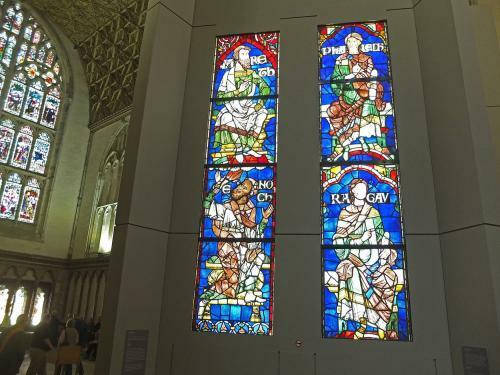 The stone frames and mullions have been replaced and the 13th century stained glass panels have been restored. 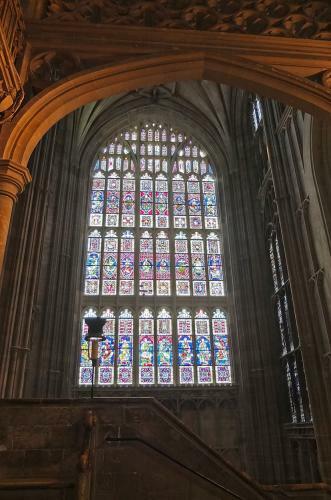 All the work was completed by the Cathedrals own craftsmen and the window has just been re-instated and it was the window that I wished to see. 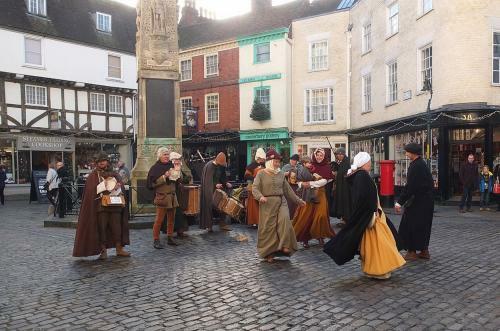 On arrival at Christchurch Gate, the entrance to the precincts, I was greeted by a group of medieval or more likely Tudor styled musicians and dancers. They were performing in The Buttermarket in the ancient part of the city. On entering the precincts the light was quite good so yet another picture of the whole cathedral. It is so massive that it is difficult to get it all in frame. First a look at the Great South Window from outside. Looking all clean and new and good for many more centuries. With the very low bright sun it was difficult to get a true picture of the restored stained glass from inside. The window is 55 x 25 feet so it was a major undertaking to restore the whole window. The cost was £2.25m which was raised from various donations including the National Lottery and many private donors. 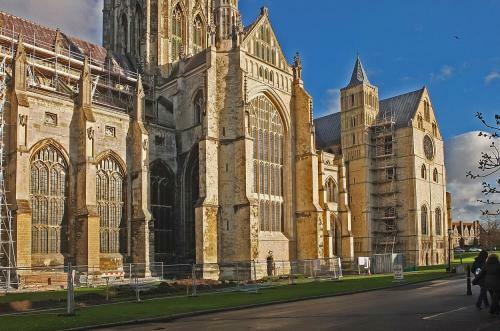 Most of the ancient stonework that was removed was sold at auction and the 140 lots realised £210,000 which will be used in further restoration work at the Cathedral. After restoration some of the glass panels were displayed at J P Getty Museum in LA and also at The Metropolitan Museum in NY. 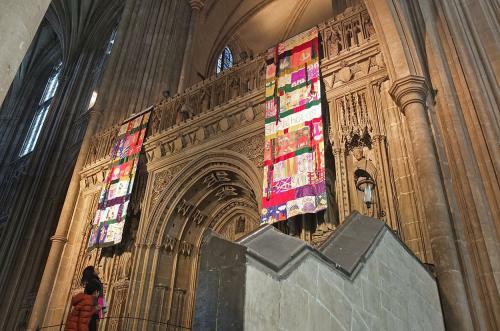 After their return to the Cathedral in 2015 they were put on display in the Chapter House in an exhibition entitled The Ancestors. They were beautifully displayed with back lighting to show the colours of the ancient stained glass. 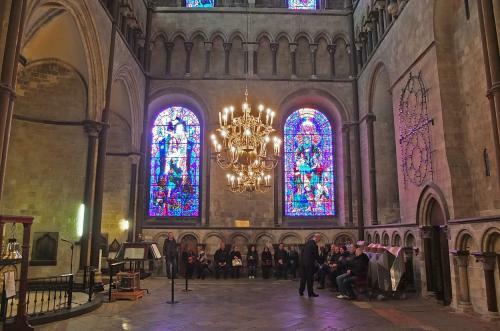 After being greeted by middle ages music at the gate, the music theme continued inside the Cathedral where a choir from the local public school, Kings, was rehearsing for an upcoming concert. I recorded some video but have posted that in the main forum because video clips cannot be included in blogs. Finally here are a few pictures inside the Cathedral for your interest. There is so much history in this building. In Anglican churches there is very little interior decoration in contrast to the often lavish interiors of Catholic churches. 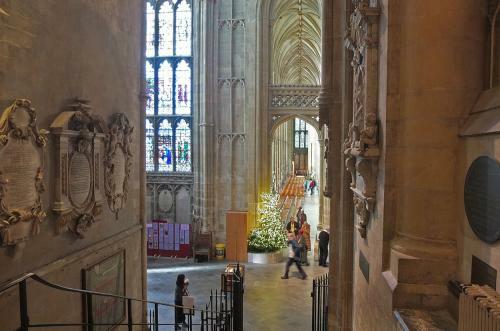 The Cathedral contains tombs, many wall plaques to heroes from the past and of course The Martyrdom, the place where Archbishop Thomas Becket was murdered on 29 December 1170 by followers of King Henry II. South East Transept with the book of rememberabce. A page is turned at 11am each morning. Looking down the South Aisle of the Nave towards the West Door. Thanks Henry. As I said, I am not a religious person but I really admire the Cathedral and many other old buildings in my home city.